Categories: NSTP, Our Product. Tags: College Books, Jayme C. Ignacio, Katherine C. Guevarra, Madeleine M. Co, Maria Rosario E. Monce, NSTP, Rogelio I. Espiritu. YOUR STUDYING AND THINKING task here is meant to enhance your communication skills in English for you to cope effectively with your academic requirements. 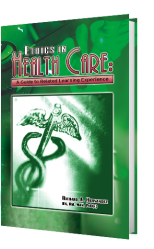 The lessons and activities are designed to make you achieve the desired enhancement These are composed and developed into nine chapters. The first chapter is about paving the way to an enhanced studying and thinking skills in English — focusing on getting an overview of the course through the syllabus, using the library, taking down notes, and honing critical and creative thinking. The second chapter is about enhancing studying and thinking skills to cope with the demands of an examination before, during, and after taking it. ft focuses specifically or coping with the given instructions and on answering the questions asked in A. The third chapter is about identifying and stating a fact and an opinion and on identifying and drawing out an inference. The fourth chapter is all about enhancing studying and thinking skills towards effective reading in English. The fifth chapter i ail about enhancing studying and thinking skills in English towards reading with comprehension essays, short stories, drama, and poems. 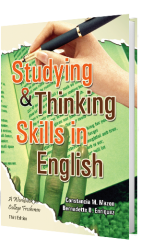 The sixth chapter is about enhancing studying and thinking skills towards effective writing and speaking in English. The seventh chapter is about enhancing studying and thinking skills towards unity, coherence, and emphasis in developing and organizing ideas. The eighth chapter is ail about enhancing studying and thinking skills in English towards effective development and organization of ideas in speaking and writing. And the ninth chapter is about enhancing studying and thinking skills in English towards writing a good paragraph, essay, summary, and paraphrase. Each lesson gives the nature of the studying and thinking work to be done and some techniques that can be used for the task to be done more efficiently. Overall, this program of lessons is your writer's well-meant response to the syllabus suggested for use in tertiary English One by the Commission on Higher Education (CHED). The human person is a rational being whose progress and survival depends to a large extent on his/her reasoning powers. It is imperative therefore that he/she hones this to the utmost extent in order to survive and prosper. His/her life, private or public, professional or personal, individual or social depends on his/her reasoning ability. Thus, there is a need for logic in his/her life both for personal and national development. 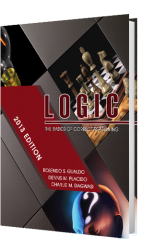 This Logic book discusses classical and modern logic to develop critical thinking among the students. It introduces students to the foundational concepts and theories of logic as applied to argumentation and debate and its significance to philosophical endeavor. It provides insights and understanding of the classical and symbolic logic. Students are expected to engage in reflective and critical practice of making correct and valid reasoning which can serve as a good foundation to argumentation and debate and towards understanding human life. 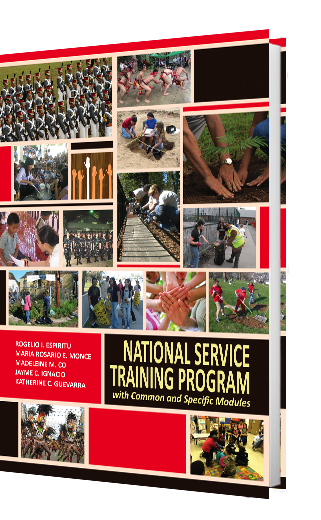 Finally, students are to think critically and form judgment on recurrent phenomena towards national development, appreciate making correct inferences from statements or premises conducive for holistic development; acquire correct thinking as manifested in his daily life activities; to modify clear ideas and express these in correct and proper terms for better community relations; to verify deceptive and erroneous reasoning for peace and unity; and to confidently engage in honest and respectable exchange of ideas; whether in formal setting (e.g. debate) or in ordinary day-to-day discourses by guiding him/her in making valid inferences and in establishing the truth of his/her conclusions and claims by way of correct reasoning.